On some occasions we need to express our gratitude to a teacher, whether that’s for the end of the year, Christmas, teacher appreciation week, Teachers Day, or retirement. But there’s always the dreadful question of what to choose. Since ideas for teacher gifts don’t come to all of us as easily as snapping our fingers, we’ve put together this list to help you out. You’ll find here suggestions for cute and thoughtful gift ideas for teachers, to help you out on every occasion where you need to let them know how much you appreciate all that they’ve done for you. Ok, so this is probably a suggestion more fit for the category of gift ideas for male teachers, but not necessarily so. There’s plenty of ladies who appreciate a fancy glass of red (or white) as well. 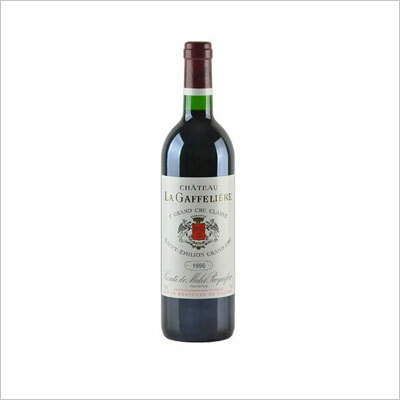 Either way, a vintage bottle, like, for example, this 2009 vintage ruby-red makes for a classy gift that makes you suddenly feel the need to listen to piano music while having a glass raised to a certain special student. As a bonus, for many not-very-young people teaching you (or your children, if that’s why you’re looking for gift ideas for teachers), the very year of the bottle may also bring back fond memories. There, you’ve succeeded to make them all soft for a day or two. If you’ve been fretting over some gift ideas for teachers that really influenced you for the good, but you don’t want something too cheap (or perhaps you can join forces with some friends to buy something of greater value), then this is the thing for you. We guarantee you that this particular item will make their day, whether you make this your great graduation thank you, a gift for teacher appreciation week or just a birthday present. It doesn’t even matter if that teacher is all about math and science, they’ll enjoy this gift just as much as a literature professor. And all future generations can expect their assignments or surprise tests to be manually typewritten instead of printed. Don’t worry, it will be your little secret! What a thoughtful gift for both male and female teachers! Unlike the extravagant previous entry, here’s a more affordable suggestion of how to show your respect. 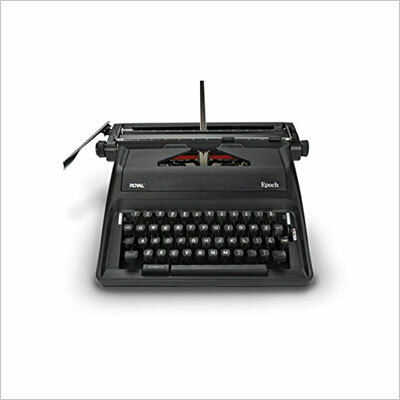 It maintains the same classy and retro look, but it’s completely inexpensive. A lot of people tend to consider only very expensive, non-practical objects as Christmas gift ideas for teachers. 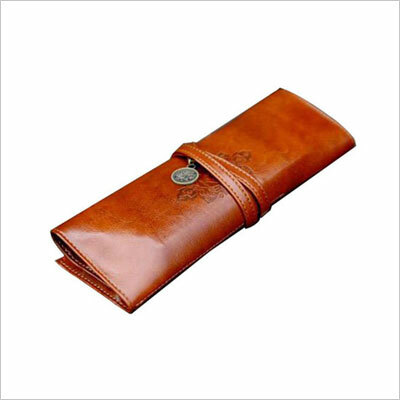 However, the charm of a heartfelt gift doesn’t lie in snobbish net worth figures. With this gift, your favorite teacher will always think of you and reminisce about your great collaboration whenever they put their pens in and out of the pretty pouch. This is a nice metaphor especially if you’re actually a young parent looking for some inspiring gift ideas for daycare teachers. Don’t take it the wrong way, we’re sure your kid is mostly an adorable little angel, but please don’t underestimate how much patience and energy these people invest in every single minute of a workday. Considering it’s a pretty soliciting age group to deal with – just as teenagers, by the way – the image of the titan Atlas being almost crushed under the weight of the world, but still holding strong, is suddenly very fitting. Not to mention that the brand and the quality of the product are upper-class like, so it totally makes for a fancy thing to try if you’re looking for preschool teacher gift ideas. 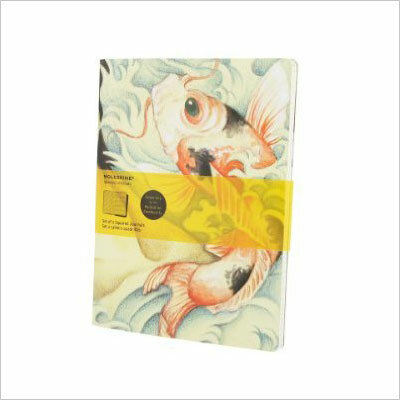 Moleskine notebooks and paperback diaries are a cult item among creatives of every trade. The mystique surrounding these special little agendas is enhanced by the fact that a lot famous artistic figures – from Hemingway to Dali – used to sketch drawings or short stories in one of their own. If you also go for an edition with a pretty art-inspired engraving on the cover, you will definitely make your teacher happy. 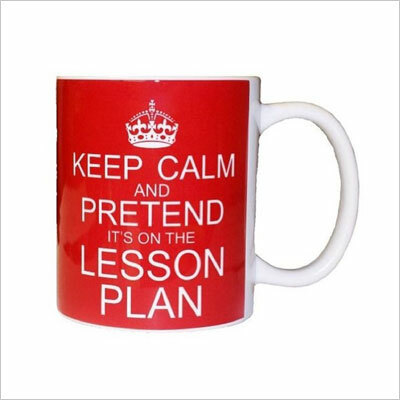 As far as ideas for teacher gifts go, this is by far the one of the top choices for Christmas. Since we’re looking into nice gift ideas for teachers, it is high time we mention books, right? The best kind of book related to the school experience, which is friendly to both pupils and teachers (and not inciting to total class war, okay?) 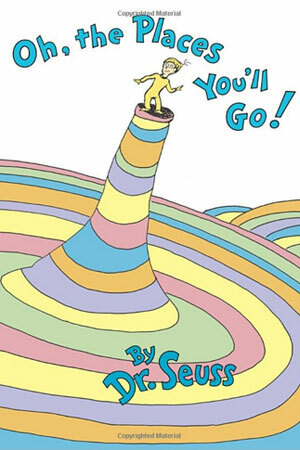 and that makes the perfect kind of departing gift, has to be this classic favorite from Dr. Seuss. It’s a beautifully written and illustrated account on letting kids go out into the world, and encouraging them to give it their best. Whether you’re looking for a graduation gift to give to your mentor right before going to the prom dance, or a token for a retiring professor, this is the best way to go. Gift ideas for teacher appreciation week, for example, usually revolve around boring flowers and assorted chocolates. But what these dedicated professional educators love the most, if they’re passionate about what they do, is good quality, interesting information, about all sorts of things. 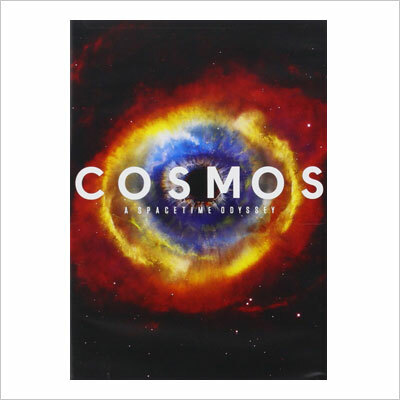 And what is more fascinating than the universe and the outer space, especially if it’s all presented in a lovely documentary which they can share with the kids too? Few things, trust us. If you’re shopping for a high school teacher, this is definitely not a suggestion for you. But as far as gift ideas for preschool teachers are concerned, there’s nothing that would help them more to connect with the kids (or reminisce about enjoying fun times with them) than a cartoon which little kids love. 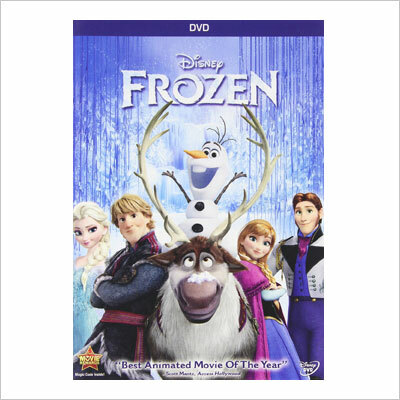 Frozen, with its friendly and optimistic message, seems to be quite a hit with all age demographics, so it’s quite a safe choice. Plus, it’s so in right now that probably all 5-6 year olds have tons of clothes and accessories featuring characters from the movie, so it would definitely be a great addition to your male or female teacher’s movie collection. Everyone loves tea, and the trend of the past years has been going more and more towards a traditional approach to brewing it. 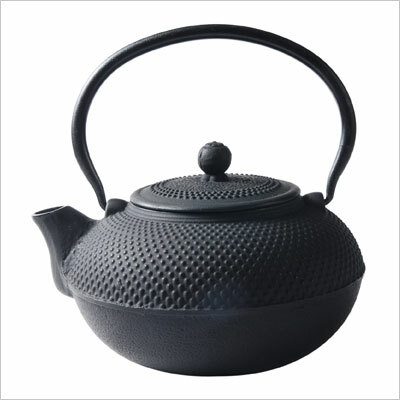 A beautiful maple leaf design teapot made of real cast iron is ultimately the way tea is supposed to be made and served. 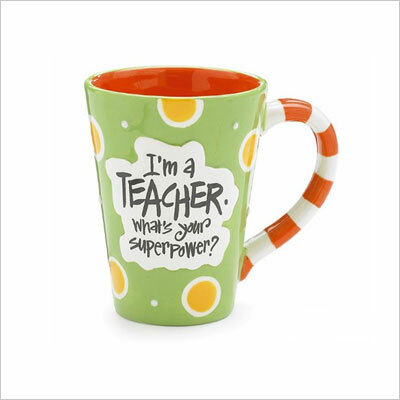 We’ll bet you anything that the teacher you have in mind will absolutely love such a gift. Since people tend to be more tea-minded during the cold season, and it’s also during winter times that gifts for decorating your home’s interior are more welcome, this would be a lovely entry to the list of potential teacher gift ideas for Christmas. Since we’re on the topic of tea, here’s another good idea: why not buy them some tea samples to enjoy? If there’s more than one flavor to choose from, you can be sure you get at least a few of their preferences right, and they can just serve the flavors they don’t really enjoy as much to their guests or friends. The point is, tea having is always not just a social event, but a friendship ritual. If you give them the fuel for it they’ll think of you fondly. Also, if this isn’t really your final departure from school but you’re looking for teacher gift ideas for end of the school year, this is also the perfect thing. That’s because for your final departure you’d maybe want to buy them something a little more permanent to remind them of you, but if it’s just the end of a year, it’s ok to just get something consumable. 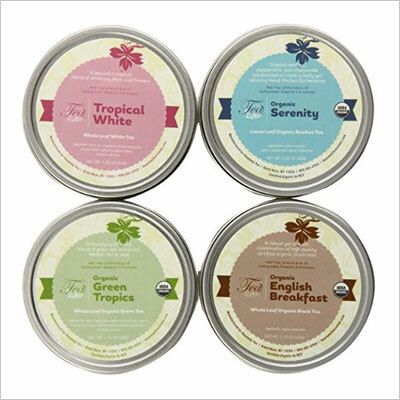 The featured set contains 4 best-selling cans of 25 servings of tea each, so they’ll last for quite a while as well. If you don’t really have a great budget for this gift you’re looking for and most of our suggestions so far seemed kind of too expensive for you, don’t worry. 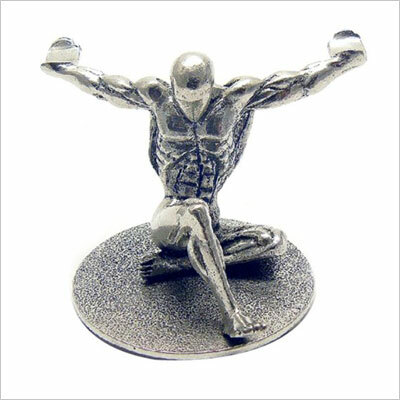 We also have more affordable teachers gift ideas. 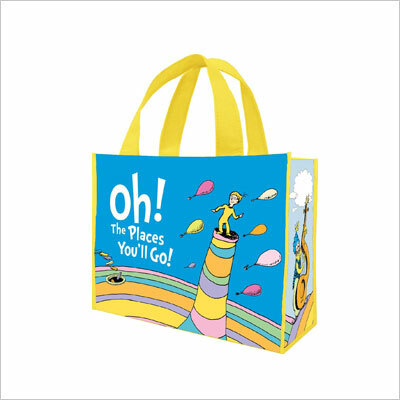 The price should not dictate how good a gift is, and this lovely and cute shopping tote, with a Dr. Seuss inspired theme (see gift idea number 6) will, get the right idea across without ruining you. The cute little bag is water resistant, it’s fun to take in vacation, and it allows teachers to bring all the books and materials to school, all the while reflecting the nice ideas behind the story it features. The teacher who will receive this will surely appreciate the gesture. 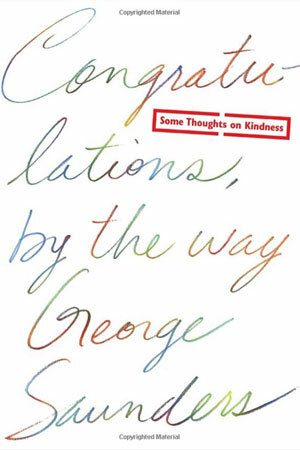 Another great book choice for teachers and educators of any kind is this book based on a speech that George Saunders gave to an audience at Syracuse University. That speech was reportedly so uplifting and inspiring to all graduates, urging everyone to lead fuller and more meaningful lives, that is was soon transcribed to become a best seller. Also, another strong point is that all the wise words don’t come in a boring form or from a moral high horse, but are written in a funny and creative way. Extra points by our book (pun not intended)! The feeling of completing a cycle comes as further reason to make this a compelling choice among all the other teacher gift ideas for end of the school year. Ok, this one is cute and funny, but it’s only suitable to a teacher with a sense of humor, or one whom you know well. Otherwise, it may seem too personal or even slightly offensive, as if you’re implying they are often unprepared for their lessons or something like that. However, we’re pretty sure you wouldn’t spend so much time thinking about gift ideas for teachers if that would the case. So, anyway, if you’re dealing with a really nice, lovable, and witty teacher, as many of our role models are, this is a gift idea that would put a smile on their face. Go for it. And since we’re lingering a while on the subject of cute coffee cup that would remind your favorite teacher of you each time they pour a refill, this is a really great gift idea for a female teacher, or for a daycare or kindergarten or preschool teacher. You know why? Because, first of all, the little ones really do tend to regard their favorite teachers as a superhero. And second of all because that kind of a job can sometimes drain your whole energy levels, so a nice uplifting message is really needed every now and then. This also makes a great teacher gift for Christmas. Ok, maybe this is a little corny or a bit of a pre-tailored gift option. But hey, at least it’s not one of those horrific “best teacher” trophies which we’re sure that just get thrown away by the unfortunate recipients after a while. Even if you personally think it’s a bit corny, probably your female teacher you’re currently shopping for will appreciate it as a thoughtful and cute gift. After a while of receiving roses and assorted chocolate boxes and flowers, cute bracelets are like a breath of fresh air.